The Poem Farm: Pigeon Poem, Poetry Peek, & Skype Celebration! 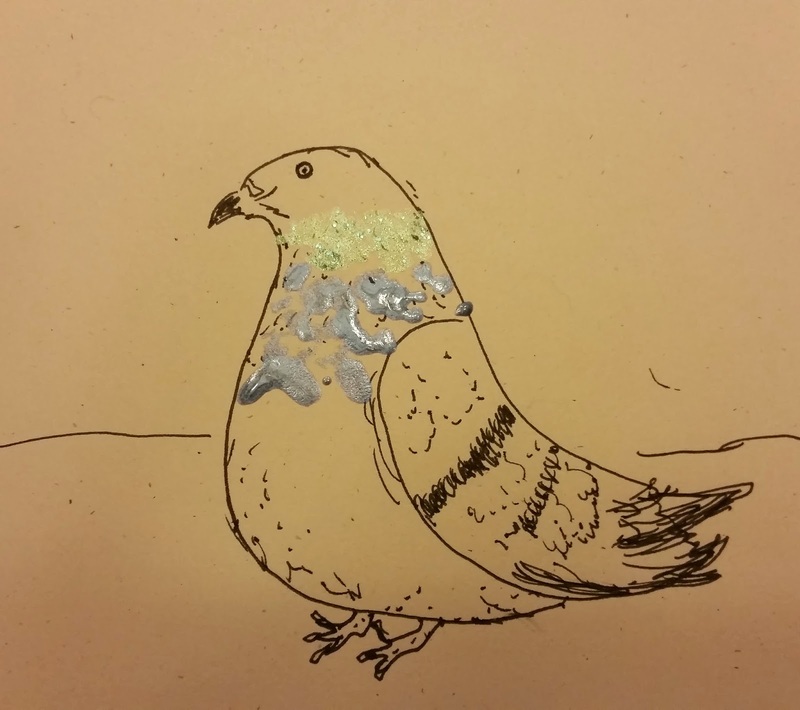 Pigeon Poem, Poetry Peek, & Skype Celebration! Students - Today's poem grew from the fact that I have been spending more time in the city than I normally do. This change of scenery is giving me new mindpictures and new thoughts. With these come new poems. I hope to spend more time in the city and encourage you to try something you do not usually try, do something you do not usually do. Stretch the boundaries of who you have always been and make room for new mindpictures, new thoughts, new poems. But in the end, I decided to go for the shorter ending, to clip it a bit, to break what was to be an expected pattern. Working and reworking endings is something we often must do as writers of all genres. It is a treat today to welcome fifth grade teacher Lindsey Holt and her poets from the Ladue Fifth Grade Center in St. Louis, Missouri, to The Poem Farm. 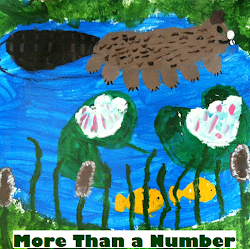 Enjoy this peek into their spring poetry unit. 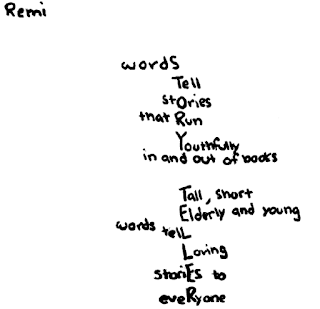 Here are some strategies that really helped my students find their inner poets! 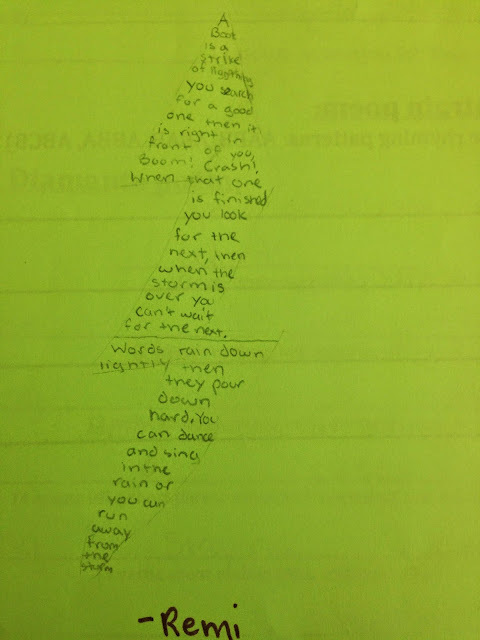 One of the rituals we stuck to throughout our study of poetry was a read-aloud. We began with Sharon Creech's LOVE THAT DOG. We used a few guiding questions throughout: What are Jack's feelings about poetry? What are the elements of poetry as told by Jack? How does Jack's perspective on poetry change throughout the book and why? We kept these posted on anchor charts, and the students added post-its with evidence from the book throughout the unit. The students felt a connection with the main character Jack because our study mimicked what his class did in the book. I also had students who did not necessarily love the idea of poetry, and this character validated their feelings. However, his transformation showed them that if he, the most reluctant of poets, was able to become passionate about it and proud of his work, then they could too. We also read the sequel, HATE THAT CAT, and my students are very disappointed that there is not a third! 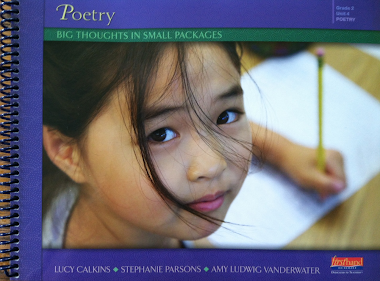 I would recommend that elementary teachers use these books during any study of poetry. I also made sure to use a variety of mentor texts (both individual poems and volumes of poetry), and I had a bin full of books accessible to students throughout the unit (I've listed some of my and the students' favorites at the bottom). One of my favorite teacher books is STUDY DRIVEN by Katie Wood Ray, and in it she talks about the idea that students must first read widely that which you want them to write. We certainly did that, and along the way, my students discovered that poetry can be found out in the world but also in our hearts. Really, poetry is everywhere. 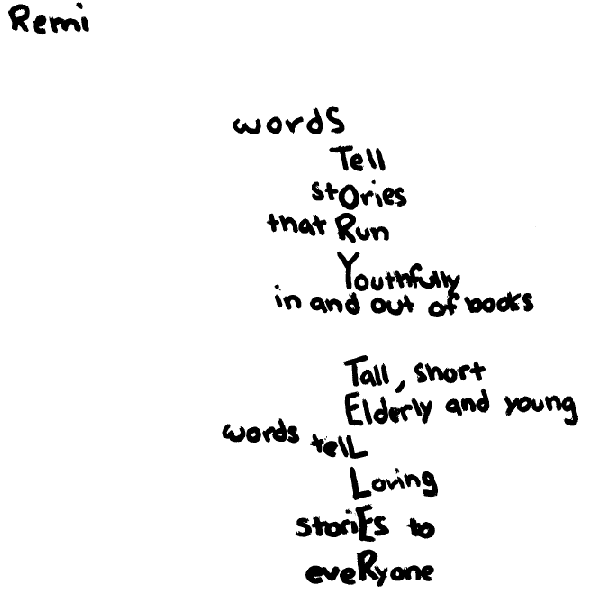 Thus, when it was time for students to write their own poetry, it seemed very natural to them; it was no longer an intimidating or daunting task of writing. As it fell to the ground. Yes, and smiled he did. Much gratitude to Lindsey Holt and her students for joining us this Poetry Friday with their writing voices and ideas for learning more about poetry. 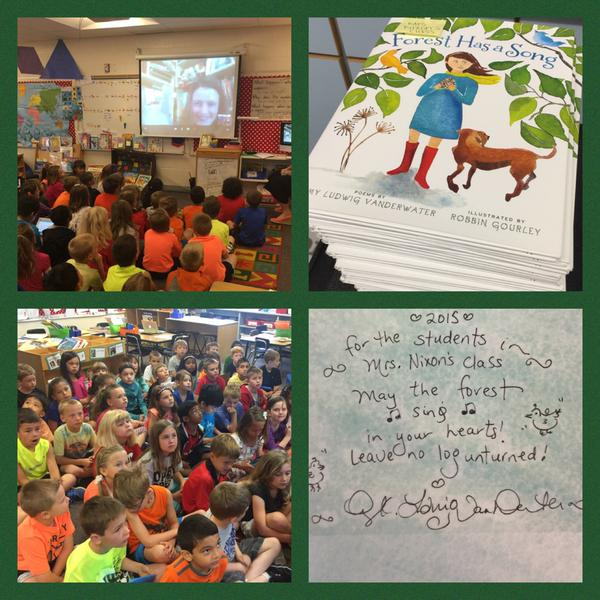 In celebration fun, today I finished a three visit Skype-through-Spring with the first graders at Darby Creek Elementary in Hilliard, Ohio. This morning I was treated to a sharing of children's poems, some written by individual students and some written together. 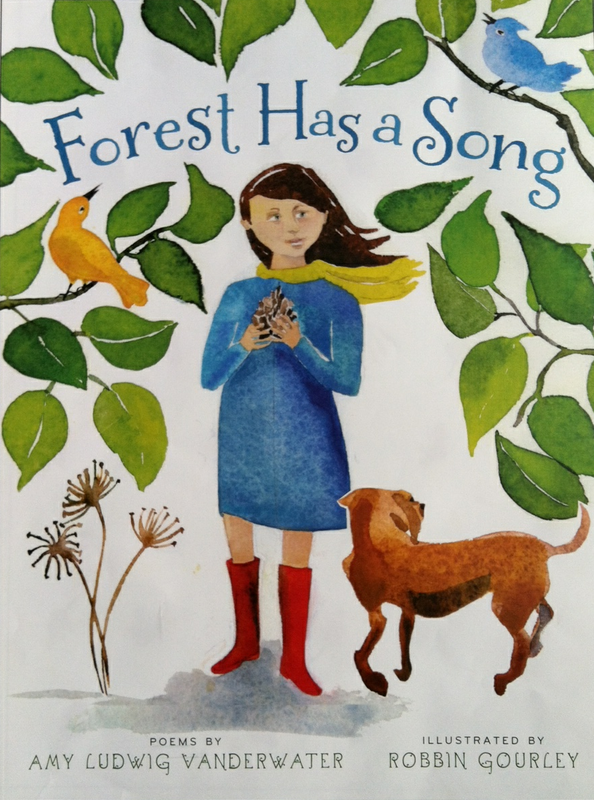 And at the end of our time today, these young poets were surprised to each receive a copy of FOREST HAS A SONG, purchased by the Darby Creek PTO with signed bookplates I sent last week. So many thank yous to the teachers and parents who made this exciting series possible. I learned a lot and loved following the journey of these poets through their teachers, their blogs, their Padlets, and their voices and faces on Skype. Here you can see teacher Cathy Mere's Tweet, posted the moment before children received their books! The winners of last week's giveaway of Barry Lane's FORCE FIELD FOR GOOD CD are Linda A. and Rosi! Please send me an e-mail to amy at amylv dot com with your address, and I will pass it along to Barry. Thank you, Barry! In case you did not see Tuesday's post, I had an extra this week. Click here to read the paper bag puppet poem and visit some kindergarten poets from Rochester, NY. 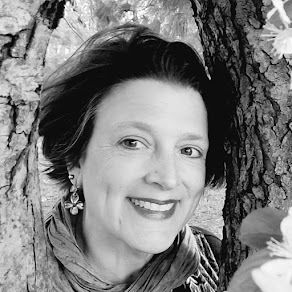 Today's Poetry Friday roundup is with Diane Mayr at Random Noodling. Noodle on over to her place to join in on the festivities. Thanks for explaining the reasons why you made the choices you did in writing your pigeon poem. The back-stories are always helpful to me! Amy ~ May I puhleeeeeze be a student in your class? Your blog and author experiences are rich and an inspiration to us all. Thank you for sharing them with us. I wish there were more teachers like Lindsey teaching poetry and writing with young students. 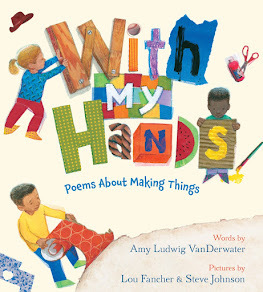 Creech's books are wonderful for teaching that poetry is everywhere. Her students' work is wildly creative. She has obviously opened a door for them to explore their own words and ideas. Thanks for sharing!